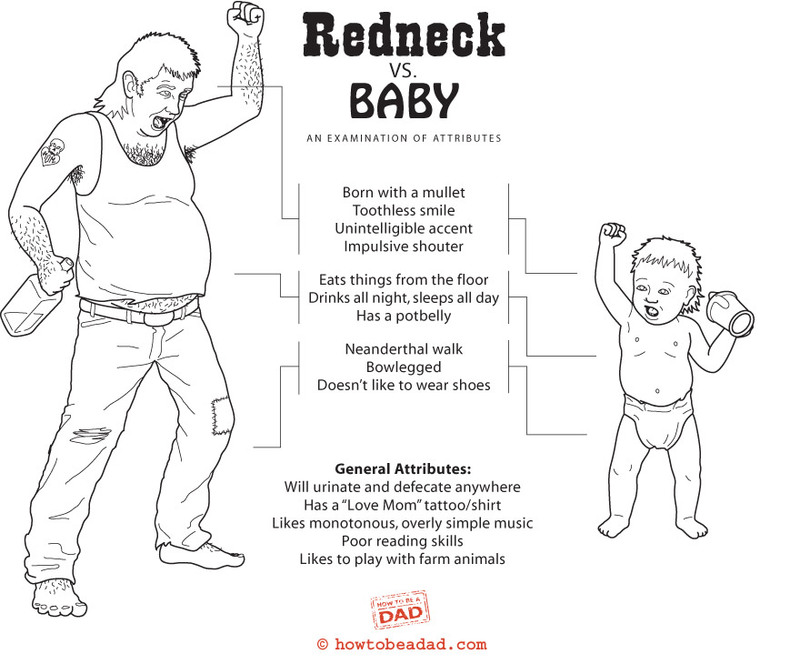 When people meet me after reading my blog, they often remark with surprise that I am not a redneck. Usually as they are saying this they are examining my appearance for any signs of evidence of a redneck lurking. I mean, up until last week I had all of my teeth and I've never once in my lifetime sported a mullet. After their surprised declarations they almost always ask why I chose to brand myself with the redneck title. My answer to that is often boring and uninspired (I wasn't thinking!) but the truth of the matter is, if you saw the apples I shook out of my family tree, there would be plenty of evidence as to why I chose that name. It's always interesting meeting and introducing myself to new people. 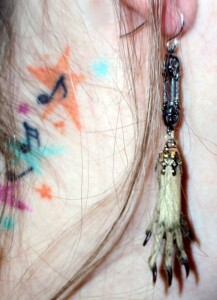 Especially when I am wearing dead gopher feet as my earrings. Every time I wear them my dog gets freaked out. Wonder why. But being the redneck mommy isn't all mortification and wide smiling to show I have had all my choppers. (Sigh.) It sometimes means I get to meet really cool and interesting people who, while never having tasted the sweet juices of a freshly roasted pheasant plucked from your truck's grill, are really cool. People like Andy and Charlie. And then draw me some really cool cartoons. Which happen to be unerringly accurate and if my Uncle Gord is reading this right now he'll be mighty pleased to see himself immortalized on my page. It's like Andy has met my family. Usually when a new blogger meets me they just hand me their business card and ask me to drop by and read their work. Not Andy and Charlie though. They make me art a family portrait. Part of the fun of being a blogger is meeting new people, discovering new blogs and finding new and creative ways with which to avoid folding your laundry, meeting your deadlines and paying attention to your farting dog. Thanks to the How To Be a Dad crew I've fallen down their rabbit hole and haven't looked back since. I'm chasing white rabbits and laughing the entire time. I think I've found my peoples. Now if only they didn't have all their teeth.